The Cambodia Kingdom (ព្រះរាជាណាចក្រកម្ពុជា ឬ ប្រទេសកម្ពុជា) (sometimes transliterated as Kampuchea to more closely represent the Khmer pronunciation) is a Southeast Asian nation bordered by Vietnam to the East, Laos to the North, Thailand to the Northwest, and the Gulf of Thailand to the Southwest. Currency: US dollar (USD) officially used, Khmer riel (KHR) is only for small transactions. Electricity: 230V/50 Hz; European plugs are most common, British less so. 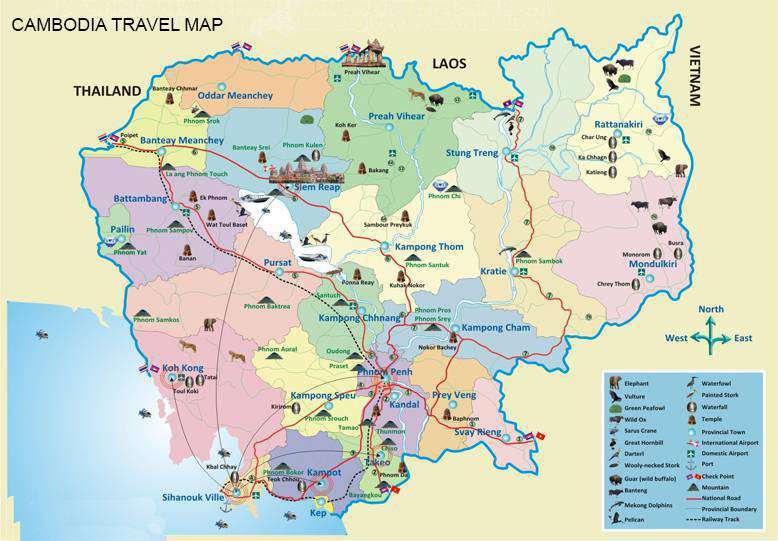 Where to go and what to see in Cambodia? Koh Rong Islands: Home to some of the most beautiful Cambodia beaches. These two islands lie within easy reach by speedboat from Sihanoukville’s coast. Whilst both islands provide you with idylic beaches, it is important to put thought into which island best suits your needs. Koh Rong Island itself is the home to backpackers and party-goers. Whilst some resorts on the further edges of the island will provide you with a peaceful, quiet space to relax, most of the resorts here are known to be within hearing reach to the loud music and happy noises of those who are looking for a fun time! If you are after a quiet alternative to the party island, it might be worth your while looking into a stay at the smaller island: Koh Rong Samloem. More laid back, and more raw, Koh Rong Samloem is the ultimate place to unwind in peace and quiet! For more information, please contact Travel Consultant of Cambodia Tours today. 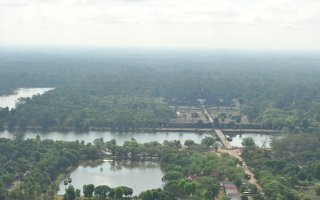 Cambodia tours from Vietnam: Best way to do it?